Common knowledge says that NBA teams, especially small market teams, must build through the Draft if they have any hope at achieving relevance. While it is true that the Lottery offers organizations the best chance at finding impact players, it’s also true – as Kevin Love and Carmelo Anthony have recently discovered – that it takes more than a single impact player to win in the NBA. The Bobcats are on the verge of both a .500 season and a Playoff berth with a hefty chunk of their rotation made up of guys from the opposite end of Draft Day’s glitz and glamour. Castoffs. Street free agents and end of the bench veterans left for dead by their former clubs. 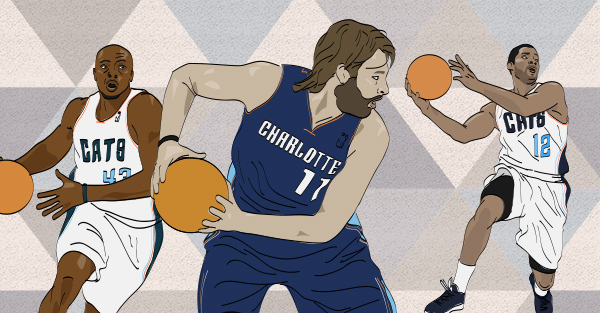 Ironically, this dynamic makes Charlotte less Oklahoma City – a team which the Bobcats have explicitly said they’re emulating – and more San Antonio. The Spurs decade and a half dominance of the league has just as much to do with finding guys off the league value rack and plugging them into a system as it does with winning the Tim Duncan Lottery. The confidence gained from consistently uncovering low-cost, hidden gems has emboldened the Spurs front office to gamble on uncertain talent in the Draft: Tiago Splitter was stuck in Europe for a few seasons. Kawhi Leonard couldn’t shoot. Tony Parker was a long term project and it was no sure thing Manu Ginobili’s game would translate to the NBA. None of this stuff mattered to San Antonio’s immediate future. They knew high level temps were just around the corner. Bargain Bin Ballers aren’t going to be the centerpiece of any contender but they do fill in the gaps and give a team’s stars occasional breaks during the regular season. And if enough of a team’s periphery catch fire at the right time – as Dallas fans witnessed in 2011 – they could swing a title. Best of all, these types of players provide tremendous value in terms of contract/performance and most importantly don’t require a franchise to waste precious first round picks on filling out a roster. The Draft is where you go to find stars (which is why drafting for need in the NBA should be considered a cardinal sin) – the bargain bin is where you go to fill in the gaps. Acquired: via Trade, February ’13. “Don’t Call Me McBob” arrived via trade last February for virtually no cost and just a year later is beloved by both teammates and fans as a key facilitator on offense and a hustler on D. Josh’s unique skill-set (his 4.2 assists per game are second most amongst power forwards) allows Kemba Walker to play off the ball as a scorer and McRoberts is just good enough from three (36%) to open a little more breathing room for Al Jefferson to operate down low. Future: McRoberts has a player option next season at $2.7 million which he’ll opt out of. If Charlotte offers him a fair deal, he could likely return next season. Two years, $10m or three years $15m, sounds about right. Cody Zeller may take over the starting job eventually but McRoberts is still a fine rotation big at that number. Acquired: Street Free Agent, August ’13. Tolliver’s shot has been missing in action for most of the last month but there was a stretch from December thru February where AT was absolute money from downtown (44%+ 3PT), at one point ranking in the league’s Top 5 3PT shooters. His defensive shortcomings are well known but he’s played ok as a system defender in Charlotte – Tolliver’s on/off court defensive numbers are basically dead even. Future: The front office brought Tolliver in before camp at Steve Clifford’s request for more floor spacers. Since then the Cats have added a couple guys who can do that and more. AT’s deal expires in July and it’s a tossup on whether he returns next season as a Hornet. Acquired: Street Free Agent, December ’13. CDR is this season’s McRoberts. A slashing, tough defending and surprisingly sweet shooting (40% 3PT) wing, Douglas-Roberts has revitalized his NBA career on a team that didn’t have a reliable two-way SF before he arrived. And really, could the Cats have asked for a better intermediate sub/mentor for Michael Kidd-Gilchrist? Not only are they somewhat similar players, but the two actually have long history going back to MKG’s middle school days in Jersey. CDR’s work ethic and humble demeanor (he’d been struggling just to get back into the league) fit right in the with the team’s “Grit and Grind East” ethos. Future: The big question is if CDR’s three point shooting will hold up. From 2008-2010, Douglas-Roberts had never shot higher than 32% from downtown – and rarely even attempted them. The Cats could offer him a “show-me” contract similar to the one signed by McRoberts last summer – something like 2yrs, $4m with a player option for year two. If CDR proves the stroke to be no fluke, Charlotte may have found itself their own Bruce Bowen. Acquired: via Trade, February ’14. Neal is a classic all or nothing guy. If he gets hot, Gary can single-handily swing a game your way – just as he did for the Spurs in the NBA Finals last year. He’s both a solid deep shooter (39% 3PT) and a creative off the dribble player. He gets lost on screens a lot and is an overall liability on D but there’s a reason San Antonio had him on the roster for three seasons. On a team that often finds itself desperate for points, Neal’s scoring is a major plus. Future: Gary signed a two year contract with Milwaukee last summer before being traded. He’s on the books next year for the same salary – a relative bargain. Unless he gets dealt again, Neal will rock the teal and purple next season. Ultimately, the success of Bargain Bin Ballers can be traced to the Bobcats’ new found culture and coaching system. Put this same group of guys on the Kings or Pistons and it’s unlikely that they’d replicate their success – highlighting yet another hidden bonus of finding the right coach and a key reason why I think we’ll see coaching take a higher priority over the next few seasons in the league. A trend the Hornets are thankfully already out in front of. What To Do With Biz? Great points. Would love for them to re-sign McRoberts to a longer-term deal, but Cody has really come on the last month or so. He’ll continue to evolve. I think they are going to target a long-range shooter in the draft, so we’ll likely see Tolliver gone. I think they’ll try to hang onto CDR. That’s a great point. The Portland pick could certainly net a shooter. DraftExpress has had both Adreian Payne and Rodney Hood available there in various mocks.